Happy Monday! I hope you had a great weekend! Ours was fantastic but of course, it went by incredibly too fast. 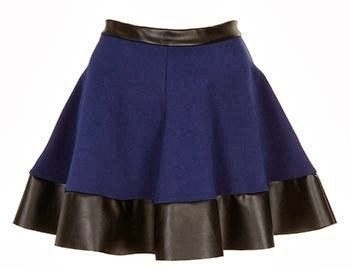 You may remember my Fall Wish List and the leather skater skirt. 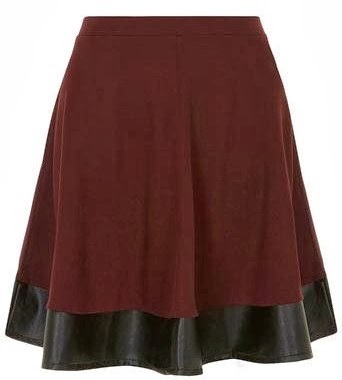 Now that fall is upon us, I am on the hunt for the perfect leather skirt. I've found quite a few that have a bit of an edge to them and it's gonna be hard to choose! This is actually a dress...even better! It's hard to find the right combination of edgy and classy but I think these fit the bill. What about you? Any favorites here? Here's wishing you a lovely Monday! These are so cute! Love them all.